The businessman was ardently telling me how awful it was that nonprofits spend donated money on things like (gasp!) salaries, staff development, office space, benefits! The money he gives, he told me, should only go to programs. We’ve heard this before, and it doesn’t get less ridiculous because it keeps coming around. The nonprofit sector provides over 5% of the nation’s GDP annually; we get about 2% in charitable gifts. We account for over 9% of all wages and salaries paid in the United States—and I’m guessing that the vast majority of those are way underpaid. The vast majority—about 67%– of public charities have expenses of under $500,000. Only a little over 5% have expenses of $10 Million or more. Which points to the fact that the heavy lifting is being done by those with the least support. Too many people start nonprofits because of a passion. I’m not knocking passion; indeed, it is imperative. But above all, those who starts these organizations need to understand that they are businesses—and like any business must have a revenue plan that will get them firmly in the black in a reasonable amount of time. And, like any business, they must have appropriate resources so they can do the job they need to do—in our case, push their mission forward—well. And you just don’t do that by cutting corners, trying to do more with less, expecting people who are making less than they should be making to work as if they were being paid more. And passion is what drives many people to take low-paying jobs at a nonprofit. They accept little because they care so much. And, because they care, they get hired—despite the fact that often, too often, they do not possess the necessary skills. This is especially true in fundraising. To be fair, often they are not hired to do fundraising. They are hired for general office work or to use the skills they have for programs. And then, they get thrown into doing something for which they have no desire, no experience, and typically no one on staff who can guide them. 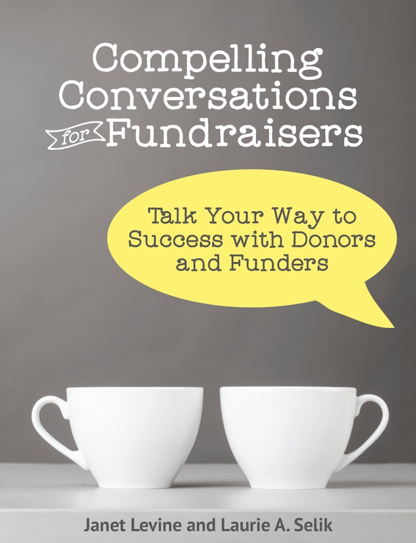 Success in fundraising relies on a number of things from having a compelling mission to building relationships to consistency. It relies on having the right resources and that, I’ve found, is wholly dependent on having a culture of philanthropy at your organization. That culture means that fundraising is considered important. Not just the results of fundraising but the function itself. It means that everyone in the organization sees themselves as having a role in raising money and that everyone recognizes the need to fully resource the development department. So yes. We must spend money on our infrastructure; if we don’t we cannot thrive and I’m not even sure we can survive. This entry was posted in fundraising and tagged culture of philanthropy. Bookmark the permalink.